With all the shoes and bare feet stepping on them daily, it is no surprise that carpets can become very dirty over time. Constant stomping of dust and dirt into them means that they will inevitably end up grubby, smelly, and generally worse-for-wear. 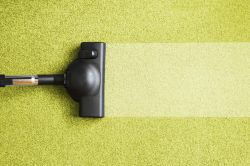 Carpets are also notoriously hard to clean if you are not armed with the right tools. Here at Fulham Cleaners, our professional SW10 carpet cleaners Fulham are armed with the most up-to-date tools and years of experience. To see what if our service is right for you and to get a free quote, or book and appointment, call us on 020 3743 8436. Our dedicated team of carpet cleaning SW6 agents are ready and willing to answer any questions you may have. You can, of course, choose to undertake the task of cleaning your carpets yourself. If you’ve recently had some friends over for some casual drinks, and a clumsy acquaintance has spilt a beverage on your carpet, you could tackle it yourself with a good carpet stain remover. This should only take a few minutes of rigorous scrubbing, but if you are worried that you won’t be able to remove stain properly, give our professional Fulham carpet cleaners a call – they’re cleaning tools, products, and expertise means they’ll be able to make it look like the stain was never there. Our SW6 carpet cleaners could be over at your property, scrubbing your carpet in no time. Stains are just one of the reasons why you might require our SW10 carpet cleaning Fulham service. Carpets, if left neglected for a long period of time, build up dust and dirt, which leads them to smell and generally look unattractive. Cleaning every square-inch of your carpet is not a task similar to getting a single-stain out of them. Instead of scrubbing one area of the carpet, to clean all of the carpet in your house will mean you’ll be on your hands and knees for hours. 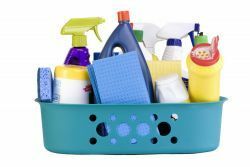 If you aren’t armed with the appropriate carpet cleaning tools and products, those hours can potentially turn into days. If a comprehensive clean of every square-inch of your carpet is required, it’s probably best to save your time and effort by leaving it to a professional. Our Fulham carpet cleaning professionals will be able to do a much more thorough and efficient job of cleaning your carpets than you can due to their knowledge, experience, tools and products. So don’t waste your free time – call our Fulham cleaners SW10 to do the job for you so you can put your feet up! Carpet cleaning is yet another household cleaning chore that most of us don’t have time to do. For those of us who work 40 hours a week with only the weekends off, the last thing you want to do is spend your hard-earned leisure time on your hands and knees, scrubbing your carpet. It is more than understandable that you want to hand this task off to someone else. And we can be that someone else – our dedicated team of SW6 carpet cleaning professionals are ready and more than willing to undertake your carpet cleaning chores. Hiring out our team will mean that your carpets will be as pristine as possible without you lifting a finger other than to dial our phone number – 020 3743 8436. Above are just a few of the reasons why someone might require our team of professional Fulham carpet cleaners SW10. Whatever your reason, be sure to call us here at Fulham Cleaners on 020 3743 8436 to get a free quote. We could really save you a lot of time and effort for a modest fee!